New for 2018, the Irish Santa has taken to his sled while the Leprechaun goes for a ride holding onto the sack of gold. Santa’s off-season is always full of surprises. 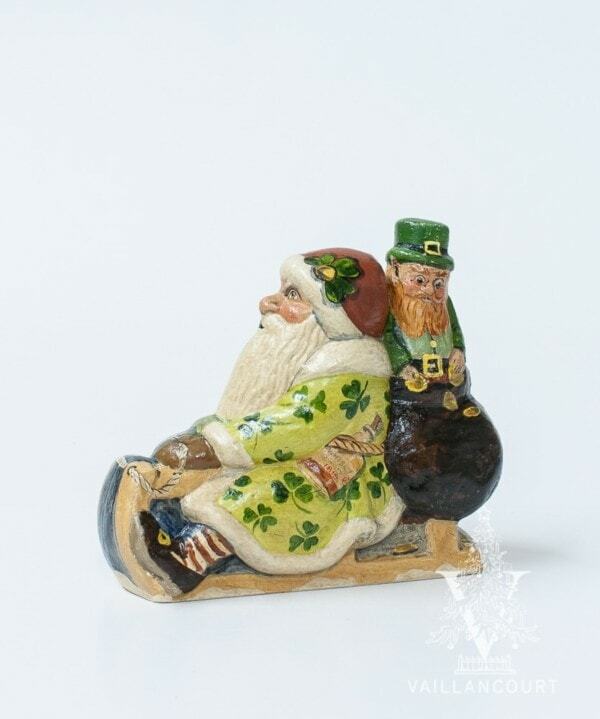 For the spring months, we find the chalkware Irish Santa going for a ride with a Leprechaun in tow. Hand-painted with a green palette, this springtime favorite is sure to bring a little luck along with the pot of gold.